When RGB LED panels are produced, the challenge is to create a uniform, completely homogenous surface. Therefore, a diffuser layer is used, which enables a regular scattering of the otherwise point-shaped LED light. 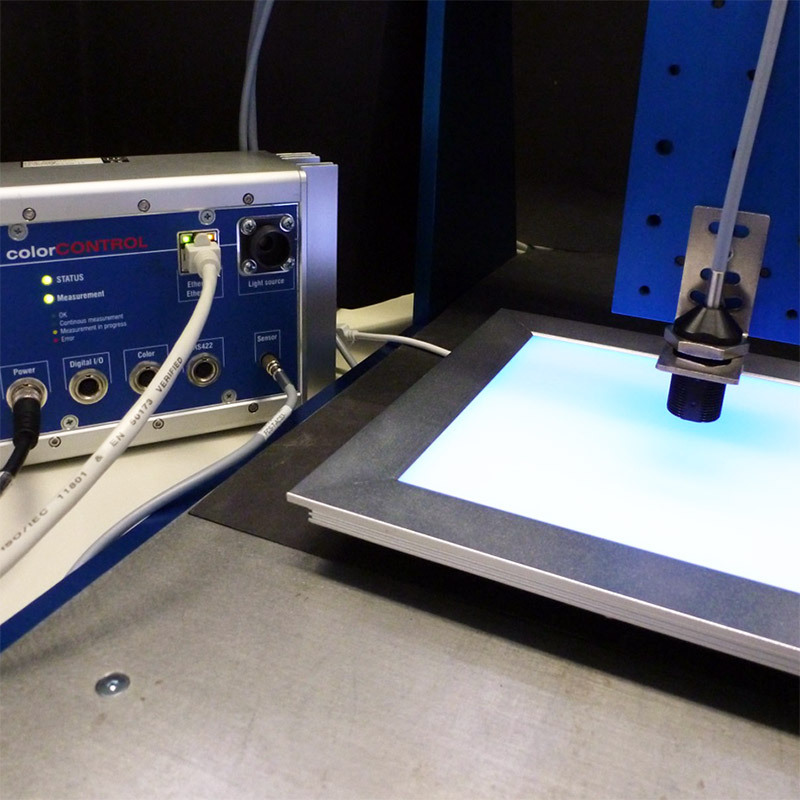 In order to avoid defects in the material and during production, the inline colorCONTROL ACS7000 colour measurement system is used with the ACS3-TR receiver unit. Errors can therefore be recognised during the production process itself rather than the previous method of manual final inspection, which is no longer necessary.